Although traditional urban expansion simulation models can simulate dynamic features, these models fail to address complex changes produced by different agents’ behaviors. The paper has built up a set of spatial-temporal land resource allocation rules and developed a dynamic urban expansion model based on a multi-agent system, which can simulate the interaction among different agents, such as residents, peasants, and governments. This model is applied to simulate urban expansion process taking Changsha City, in China as a study area. 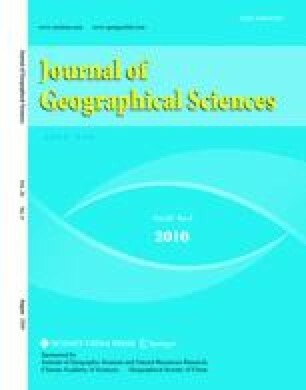 The results show that this model can not only reflect basic characteristics of urban expansion, but also help explain the reasons for urban expansion process and understand the effect of agents’ behavior on the expansion process, and provide insights into the causing factors behind the expansion. In addition, in contrast to simulation results with land use classification map from remote sensing images, the precision of the simulation reached over 68% with higher precision than cellular automata model according to the cell-by-cell comparison. The results suggest that the model can help to provide land use decision making support to government and urban planners. Author: Zhang Honghui (1980–), Ph.D Candidate, specialized in the study of remote sensing and geographical information system application. Corresponding author: Zeng Yongnian (1959–), Ph.D and Professor, specialized in the study of remote sensing, geographical information system application and environmental change.